Will they stay or will they go? Both players are currently undecided. Alabama tight end O.J. Howard, the Offensive MVP of the title game, and defensive lineman Jonathan Allen did not announce their intensions for next season, as originally thought during the Crimson Tide’s Friday afternoon press conference. 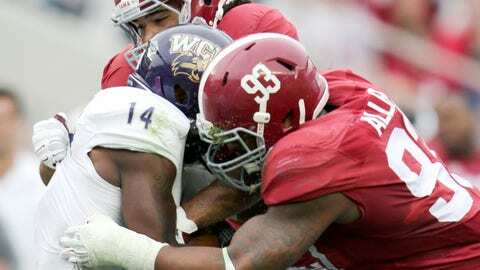 Allen played an integral part of the Tide’s championship season, as the lineman had 36 tackles, 12 sacks, 14.5 tackles-for-loss and two forced fumbles on the year.